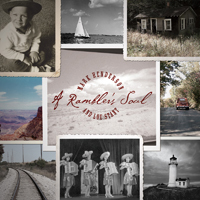 View cart “A Rambler’s Soul” has been added to your cart. Mark Henderson is an innovative composer and an accomplished keyboard artist from California who has created music for such diverse worlds as film, television, animation, musical theatre, video, CD- ROMs and international trade conventions. He has composed for a comprehensive clientele including Dream Works, The Smithsonian, Bausch & Lomb, Sea World, the Santa Barbara International Film Festival , NBC News, Reebok and Honda. Lou Stant has been a songwriter since 1972, and a professional musician/recording artist in Indiana since 1982. Having alternated since the early ‘80s between ensemble and solo work, he has been performing solo acoustic music since moving to Brown County in 1996, and is currently a part of a blues/jazz trio, “the Mizfits”, which performs regularly in Brown and surrounding counties, and periodically in Indianapolis. In addition to the Mizfits’ self titled CD, Lou’s recordings include “Out of the Blue” released in 2000, “Enough About Me”, released in 2004, “Cutting Teeth”, a retrospective re-release of Lou’s early recordings from the ‘80s, released in 2006, and “A Rambler’s Soul”, a collaboration with California musician Mark Henderson, released in 2008. 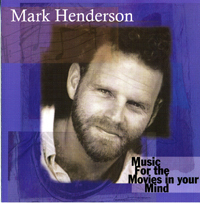 Mark Henderson is an innovative composer and an accomplished keyboard artist from California who has created music for such diverse worlds as film, television, animation, musical theatre, video, CD- ROMs and international trade conventions. He has composed for a comprehensive clientele including Dream Works, The Smithsonian, Bausch & Lomb, Sea World, the Santa Barbara International Film Festival, NBC News, Reebok and Honda. “A Rambler’s Soul” is Mark’s second CD of his original compositions. 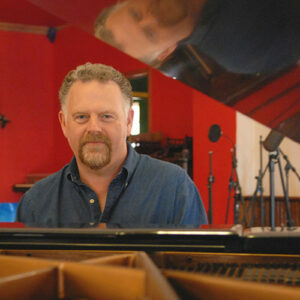 Lou Stant has been a songwriter since 1972, and a professional musician/recording artist in Indiana since 1982. Having alternated since the early ‘80s between ensemble and solo work, he has been performing solo acoustic music since moving to Brown County in 1996, and is currently a part of a blues/jazz trio, “the Mizfits”, which performs regularly in Brown and surrounding counties, and periodically in Indianapolis. In addition to the Mizfits’ self titled CD, Lou’s recordings include “Out of the Blue” released in 2000, “Enough About Me”, released in 2004, “Cutting Teeth”, a retrospective re-release of Lou’s early recordings from the ‘80s, released in 2006, and “A Rambler’s Soul”, a collaboration with California musician Mark Henderson, released in 2008. Lou is currently working on his fourth solo album, set for release in 2010. This music is fresh, inspirational and so accessible. It's one you will leave on your favorite play list for a long time! Songs such as 'Ain't Life Grand' and 'Come To The Water' blend complex, yet simple melodies with a soulful optimism rooted in spiritualism. Not so much in a religious context, but more in the inherent and universal faith and hope that lives in us all. I've known Mark Henderson to be an accomplished musician specializing in broad categories of musical styles in his compositions. 'Ramblers Soul' seems inspired by his own California soul, and newly stirred connection to a southern Indiana backwoods life. Mark's partner in this project, Lou Stant writes in a folk tradition, and Mark brings a modern flourish to the soul of the project. And credit must be given to Jason Wilber, John Prine's lead guitarist, for his masterful additions to the guitar work on the project. It is not often that listening gives such a wide range of emotions on one album. The blend of lyrical splendor and the musicians talents carries throughout the album and rightly seems to culminate in Come to the Water... Peace. An album like this doesn't come along very often. Many albums may have a couple of songs that are worth a second listen. All of these songs are! And what is more amazing to me is that each one is unique! This album really stands out. A Rambler's Soul is described as a soothing and uplifting listening experience that is steeped in the traditions that underlie contemporary musical forms and yet it leaves one with a sense of discovery to what is often heard today on the airwaves. A Rambler's Soul is one of those rare recordings that one is compelled to listen to over and over. The album is laden with wondrous melodies, enthralling lyrics, vivid images and colorful stories, arrayed in an upbeat and uplifting tapestry of songs that nourishes, satisfies and soothes. You will cherish this album. We did listen to your CD and thoroughly enjoyed it. It has great vitality and variety, constantly presenting new themes that keep you listening for what's next.